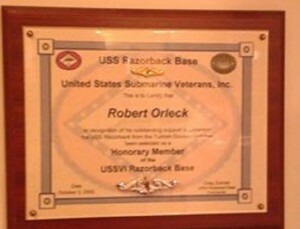 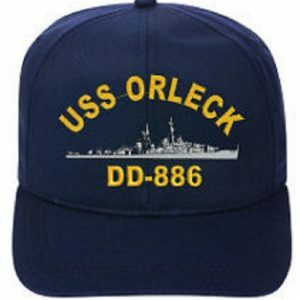 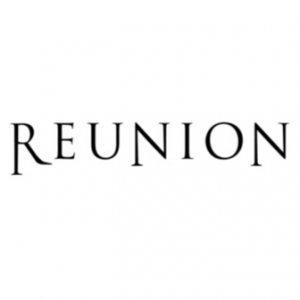 At the 2002 Reunion of the Destroyer USS ORLECK Association, Greg Zonner, Curator of the Arkansas Inland Marine Museum (AIMM) attended and presented Bob Orleck with a beautiful large pen and ink drawing of the USS RAZORBACK and a plaque making him an honorary member of their sub base. 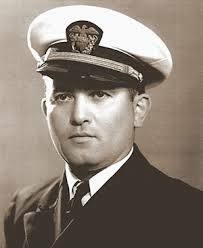 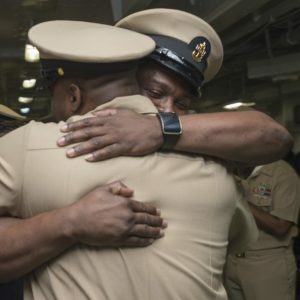 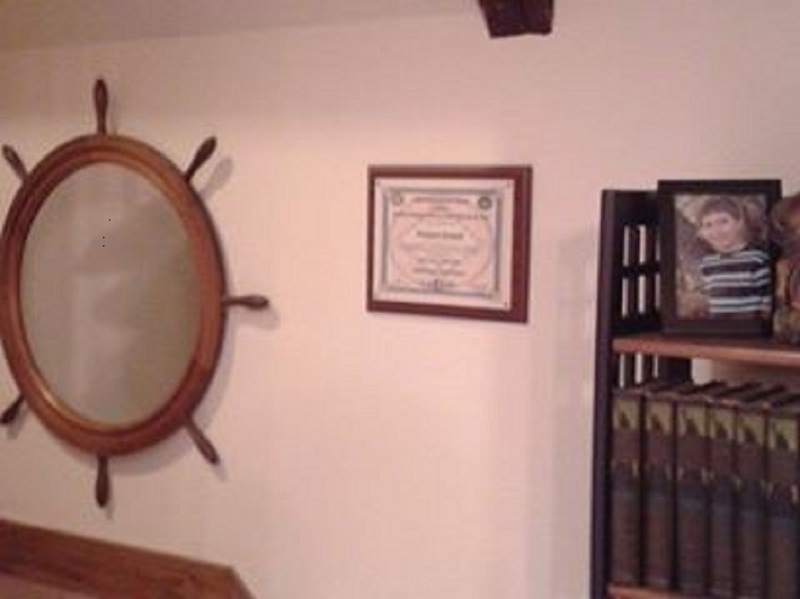 This was in recognition of the help Bob provided at the beginning of the process to return the submarine to the United States to be a museum ship. 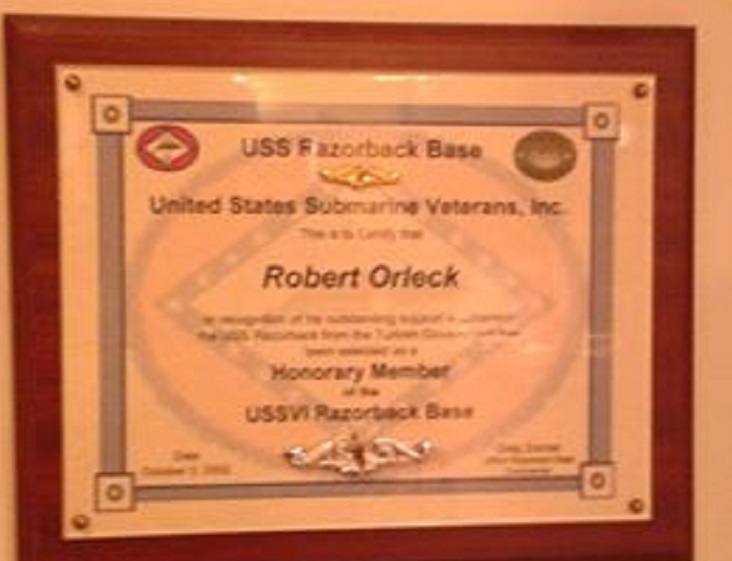 Though contacts that Bob had made during the service of ex-USS ORLECK (TCG YUCTEPE D 345) in Turkey, the N. Little Rock group was able to make the necessary contacts that resulted in them obtaining the USS RAZORBACK and bringing her to Arkansas to be the centerpiece of AIMM. The plaque proudly is displayed in Bob’s office.